Having worked as a volunteer nurse and ambulance driver in World War I and written about it (Diary Without Dates, The Happy Foreigner), Enid Bagnold married Sir Roderick Jones, head of the Reuters News Agency, in 1920. She published her most famous novel, National Velvet, in 1935. She also wrote several popular plays. 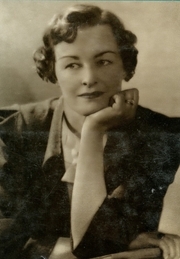 Enid Bagnold is currently considered a "single author." If one or more works are by a distinct, homonymous authors, go ahead and split the author. Enid Bagnold is composed of 4 names. You can examine and separate out names.